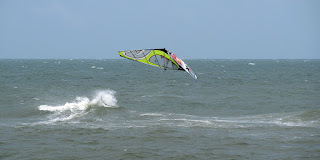 Bill's OBX Beach Life: The Hatteras Weekend Warriors Score!! The secret windsurfing season, Hatteras Summer, offered up another stellar performance for the regional weekend warriors who dropped all to visit the islands for a prime forecast and a few days of FUN windsurfing! 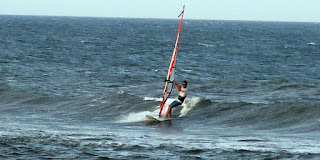 Late last week the forecast was ripe for strong SSW wind and a little summer time surf. Beginning Thursday and lasting though Saturday, Hatteras delivered afternoon sessions that were a ton of fun! Following mornings of stormy, rainy weather, skies cleared by mid/late afternoon providing early evening sessions of strong SSW wind! The schedule was like clockwork where days began with rain and crazy weather. Then things began to calm down and the wind slowly began to fill in. 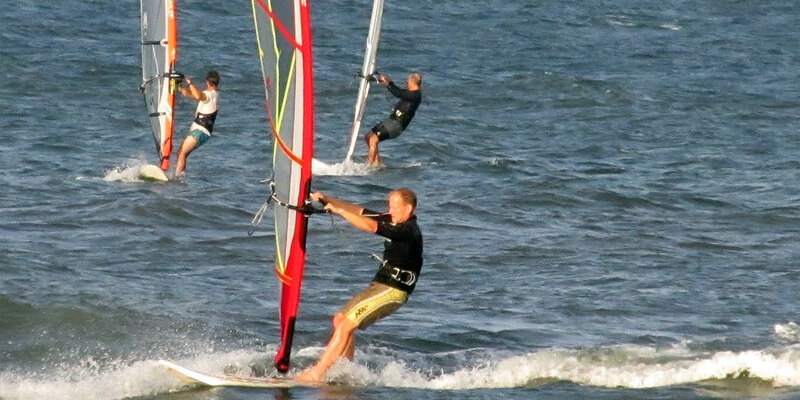 First the Light Air Wavesailing opportunities were in play as winds gradually filled in from about 5 mph and increasing.... By late afternoon/early evening, 25 mph averages were on tap bringing out the small kits! 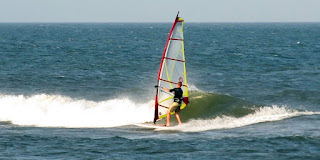 All in all, another perfect summer time "secret" Hatteras windsurfing long weekend dedicated to the Weekend Warriors to drop all to make the trek purely on the forecast! Kudos to Ralph M who has earned the "Warrior Elite" badge this summer! Ralph has been here for every promising forecast, and it seems he is the wind good luck charm this year. Every session he's hit has been killer! Congrats for all the Hatteras session scores this summer Ralph! Here are a few photos from the sessions that past Warrior Weekend! Good job calling this early Bill. Keith usually gets the shots so I was just filling in for him this weekend. Love it! 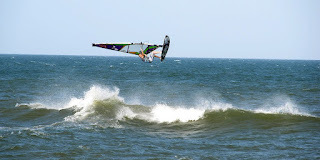 Looking forward to Hatteras Wave Jam! 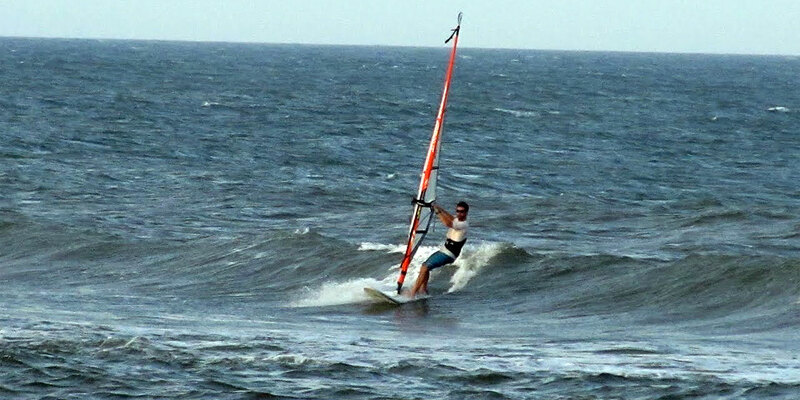 Thanks for letting me try the Sea Lion, what a great board for light winds. 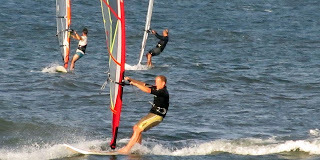 And thanks for all the wavesailing tips.